When bub was younger I couldn't wait for her to crawl and walk. I spent hours each day encouraging her to get up and move, hysterically clapping and enthusiastically saying "YAAAAY" when she got even close to moving on her own. 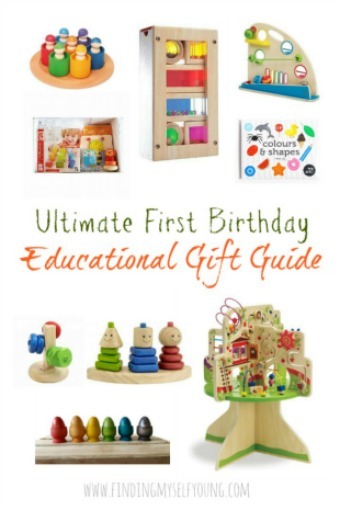 I was so immersed in the buzz of her reaching new milestones that I never stopped to consider the downsides of a mobile baby. It didn't take long for me to realise that greater independence and mobility on her part meant much less control for me, which was never more apparent than at nappy change time. 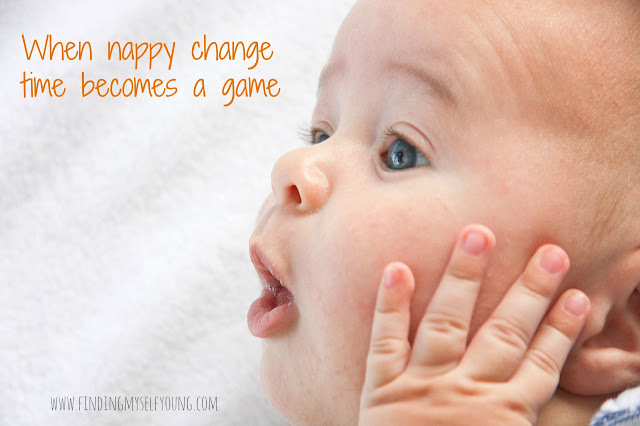 A typical nappy change involves lots of kicking, crying, rolling, and frustrated yelling of inaudible words. Sometimes I feel like I need 8 arms to control her. The majority of the time she gets away and once she's up she runs as fast as she can in the opposite direction while giggling and taunting me to chase her. My neighbours must seriously get sick of hearing "come back here you can't run around nakey with no pants on, you'll pee on the floor!". Occasionally they also hear "you just got poo all over mummy" and "oh. my. god. I can't believe you just pee'd on the mat". I often wonder if my outbursts horrify them or if they're just smugly sitting in their house thankful it's not them dealing with a defiant toddler. The only consolation I have is knowing I'm not the only one in this situation. In fact difficult nappy changes are often a topic of conversation at our mother's group. The last time we talked about it I mentioned how I'd love to use nappy pants instead of nappies except I didn't know how it'd work if she did a poo (the idea of pulling down a pooie nappy and it going all over her legs and everywhere else was more scary to me than the change time battle). Then one of the girlss said she's been using nappy pants on occasion already and you don't need to pull them down you just break the pants open on the side. Hello light bulb moment. Why did I not know this before?! Apparently I'm not the only one though because her mum was looking after her son and he poo'd in his nappy pants and she thought you pull them down too and ended up having to give him a bath - that totally would've been me. After that conversation I decided the next time we needed to buy more nappies I was definitely getting nappy pants to give them a go. Incidentally, not long after, I was asked if I'd like to trial BabyLove nappy pants. Seriously, the timing couldn't have been more perfect. No doubt you've probably heard of BabyLove nappies already. They're easily recognisable by their mascot Baby Bud. At first I thought Baby Bud was some kind of cloud baby type character, but there's so much more to his story. He has a very long and colourful history which you can learn all about in this video. Bub sat and watched the video with me the other day and was completely intrigued. At the end she was clapping her hands saying bub, bub. It's definitely going on my list of go to videos to combat tantrums. We've been trying out the Nappy Pants for a while now and I have to say I'm seriously impressed for so many reasons. Firstly the size that she should be in according to her weight (Walker 12-17kg) actually fit her. She still has chubby thighs and we've had so much trouble in the past with nappies cutting into her and leaving red marks. To combat this we usually have to use the next size up, but then they're too big at the waist and need to be folded over. The BabyLove nappy pants fit her perfectly in the walker size. The leg gathers and waist are nice and soft but also elasticised and stretchy so they mould to her legs and back to create the perfect fit without cutting into her or leaving red marks. They're also just as absorbent as normal nappies. She's worn them for a couple of hours at a time and they've kept her dry and didn't leak. She even did a number 3 (she obviously wanted to make sure they were really tested out) and I was really surprised that it didn't leak out at all, because there sure was a big surprise waiting for me when I changed it. By far the best benefit of the BabyLove nappy pants is that they make nappy changes so easy! Change times have gone from a five to ten minute battle to a quick, hassle free, process that takes less than a minute. I simply put her feet through then pull the nappy up while she's standing up. She loves being able to get changed standing up because she doesn't feel like she's being restricted and I love it because it means I no longer have to deal with the yelling and kicking. The nappy pants are removed easily by tearing the side seams (I honestly thought nappy pants had to be pulled down prior to trying them). In reality though they're so easy to use even daddy manages to do it despite his chronic aversion to nappy changes. This video perfectly illustrates the difference we've experienced since switching to nappy pants. I'd definitely recommend BabyLove Nappy Pants to others and just quietly I'm kicking myself for not giving nappy pants a go earlier. I honestly don't think we'll be able to go back to regular nappies after being spoilt with such easy nappy changes (at least not until we have another baby). Anything that eases the difficulties of the toddler stage is a big win in my book. BabyLove nappy pants provide mum's with an affordable, quality product and I love that they go beyond that and also offer the Baby bud videos to help parents calm their babies. If nappy changes have become a battle at your place as well, don't worry, BabyLove have you covered too. They've put together an awesome prize pack to provide you with the same relief we've been lucky enough to experience. If you can't wait that long you can buy BabyLove Nappy Pants from major retailers, chemists and specialty baby stores in toddler, walker and junior sizes. To request a free sample click here. 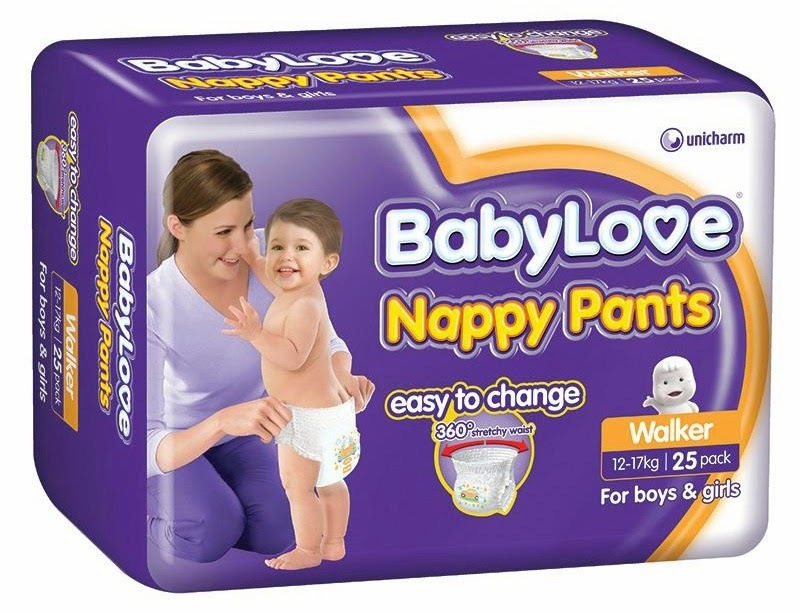 BabyLove are kindly offering one Finding Myself Young reader the chance to win 2 months worth of BabyLove Nappy Pants and BabyLove Wipes worth over $250. To enter simply leave a comment below letting me know about a funny moment you've faced with an overly zealous toddler struggling to get away during nappy change time. Disclosure - I was provided with BabyLove Nappy Pants for the process of review. All opinions expressed in this review are my own based on our experience with the product. This is a sponsored post in accordance with my disclosure policy. As a mum of three, there have been too many nappy-changing moments to recall!! But my middle daughter was such a squirmy, wriggly baby that I literally had to have someone help hold her whilst I changed her. Usually my husband, or my eldest daughter had that role (when I could persuade either of them!!) I resorted to buying stamps or stickers and placing one on her hand to try and distract her during nappy changing time. It worked sometimes but not always! I've never thought of using stickers or stamps, that's a good idea! Thankgod you didn't taste it Kaz! I'd like to share a funny poo poo moment and hopefully still be in the draw. My 13 month old crawled up to me and I knew he did a number two because it had leaked onto his clothes. I changed his nappy and his clothes but I could still smell something foul. I washed my hands again and continued to get ready for the day. I dropped the boys off to childcare and I was the gym and could still smell something foul. I decided to sniff it out and turns out I had poo smeared on my jumper sleeve. I wondered if anyone else could smell what I could and for how long. Haha, I'm sure we've all got a poo story! 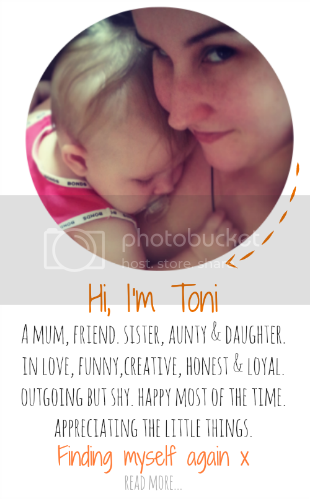 My worst poo experience was with my first baby when she was only a couple of weeks old. Her sloppy breast milk poo shot from her little botty and landed in a long line down the front of my jumper - it was distressing and hilarious! It's never happened again with the five siblings. It was like a scene from a movie! We never had a projectile poo thankgod, but Trent did get poo'd on in the first 24hrs when he was changing her nappy more came out all over his hand and it was still meconium - I thought it was hilarious. Oh yep I'm sure they all think its hilarious. My toddler loves the nudie run and the minute you take off his nappy he is off! We have tried stickers, toys only for nappy change time, different types of nappies, different forms (eg nappy pants so he can just step into them instead of having to lay down for change time) and its a total drama though having him run off with the nappy and put it on his head 'ON!!' he says always makes me laugh! T put when of the nappy pants on her head as a joke and told her it was a hat when we first got them, but I put a stop to that quick smart cos I could see it leading to what your son is doing lol. OMG Kell I would have died of shock! But it is a hilarious story for you to tell now lol. Nappy changes have become more of a struggle with my son seeing it as time better spent playing. He constantly manages to wriggle to his feet, and has recently managed to get up, stand there looking at his parts, he urinated while laughing and then run off. Hayley pee'd on her play mat one day and then ran away laughing. So not funny, although I'm sure they think its hilarious. My daughter was trying to get up while changing her on Christmas Day, when I got a massive shock, her "number 2" was bright red, we spent the afternoon in emergency only for them to not have a clue! We figured out a week later that excessive amounts of watermelon means red number 2's and peas mean green! That would've freaked me out too! I've worked out spaghetti = almost red number 2's as well. My second little munchkin is quite the explorer - always on the go, especially now that she has learnt to walk (since a month ago!). Once we were at a library storytime session and she just had to do a BIG POO-NAMI - went up her back all the way, across the sides as well as the front onto her tummy and I was trying to chase after her in the library for a nappy change as she tries to manoeuvre herself away from me - I was soooo embarrassed as I am sure it was not only me that can sense the foul 'avocado influenced' odour and see some brownish stains on her bodysuit but the other library patrons as well! Needless to say, I have not been back to that library storytime since! Haha. I always wonder why they prefer to run away when they know they need changing, wouldn't you want a clean nappy. I'd certainly rather be clean. Guess its funny for them watching mummy run after them acting crazy hehe. Thanks sooooooo much Toni!!!! I guess we never stop chasing them and I agree they must be enjoying every bit of the 'game'! This nappy pants prize will definitely come in very handy now that she is on the go all the time! Thanks again! A few months ago, I had to go to the shop with my son (incidentally, this was right around the time I was becoming confident leaving the house without my nappy bag). I reached to pick him up and went "eww, what's that…? Oh. OH. Oh no". Poop everywhere. The nappy had no chance of containing this. It was so far up his back that my hands were covered just from reaching to pick him up. As we lived 20 minutes away from the shops I didn't fancy going all the way home (and him being uncomfortable for that long) then coming all the way back when all I needed was a carton of milk. No worries, the shop has a Big W! There were two baby blankets in the footwell so I used one to clean my hands off, the other got wrapped around his waist and off we headed for the shops. I moved briskly, trying to prevent any smells lingering (or being out of the way once they hit, at least). In Big W I bought nappies, wipes, a very cool distraction toy that he instantly fell in love with, and a change of clothes. After paying, we headed off to the change room. Now, my son HATES change tables that are not his. And this cold, non-padded one was no exception. As soon as I put him down he screamed, cried, tried to flip over and crawl away. No worries, I was prepared for this! I brandished his new toy triumphantly and he stopped crying long enough to look at it like "why on earth do you think this would interest me?" and flung it across the room. Sigh, $15 wasted. I stripped him off and went to town with the wipes. I used the whole packet; on his back, his tushie, my poor hands, the change table, his feet (!! ), his hands. I distracted him with the game "Where's Toby's hands? Where's Toby's chin?" long enough to get his nappy on. I went to put his new clothes on, and somehow 6mo clothes had ended up on the 12-18mo hanger, so I had to squeeze his chubby little body into too-small clothes that he'll never wear again. Another $15 wasted. After getting to my car I had to head back to Big W as I realised there was still a mess all over the carseat. So I bought more baby wipes to clean up as much as I could, then a cheap towel to line the seat until I got home to wash it. That was definitely the most disgusting and expensive carton of milk I've ever bought. HAHAHA... its always the times you don't have wipes that they decide to have a massive explosion! It's happened to me so now if I find myself going oh it'll be right I don't need to take all this then I remind myself of that time I didn't take anything and she did a massive number 2. Now I make sure I always have wipes and nappies at least. We never used BabyLove nappies but I heard great things about them. And from what I can recall, very competitively priced too! Bahhahahhahh! Don't worry, I had no idea that they pulled open at the side as well! I thought exactly the same thing "Eeeew, but what about the poo smear?" The worst one ever was when my eldest at 2.5 thought it would be funny to grab the pooey nappy and bolt down the hallway with it (we were changing on the floor by that stage). I still cringe at all the poo splatter I had to clean up. Hubby still has no idea it happened because it would gross him out too much. LOL. Haha she's tried to grab the nappy and run off so many times but mummy is quicker (for now). She did get a wet one and start playing with it when dad changed her one time though, thankgod that wasn't a poo one. Thanks for linking Toni and I won't enter because as you know I've just successfully trained my 3rd child - BOOM! Yes you are a legend. I'm book marking the toilet training post for future reference! We are well out of the nappy stages - our youngest is nine!!! What a brilliant idea for a quick easy nappy change time. I am so grateful that she hasn't learnt how to take normal nappies off, but she did used to help me undo the tabs when I was changing her so I dare say it wouldn't be long before she'd learn how to do it. Have kids they said, it will be fun they said!! I don't have too many poo stories surprisingly however one of our toilets is blocked at the moment. I suspect a certain 14 month old with a toilet fascination may be responsible!! Oh snap, mine has a fascination with the toilet too and I have to constantly stop her trying to put stuff down there. So far I've only had to rescue a spoon. We use baby love nappy pants although change time can still be a bit stressful and it turns into me chasing him! I find they're still not absorbent enough for overnight but live them for the day and how easy it is to slip them on and off. I can't really think of any funny experiences, they've all be quite stressful and in the fight to actually change his nappy, legs and hands flying, poo has often gone everywhere. I can't wait till he uses the toilet...we're working on it. I've had poo end up all over my jeans one day when she decided to roll off my leg and run away. Its so much fun isn't it?! At least it was the nappy that went plop and not a number 2 lol. My son has been toilet training for a few weeks and way doing well in undies until we went to a friend place and he had an accident of runny number twos all over my friends carpet and tiles. We now visit friend with pull ups on as I'm scared of this happening again. I think I'd be doing the same Jade! Our daughter was a real wriggle worm and I used a change mat on the floor for fear that she would wriggle too much one day and fall off a change table. The phone rings, awaiting a call from Hubby who was in New Zealand just as the earthquakes were hitting. Our Miss3 offered to keep an eye on bub. Next thing Miss3 was beside the phone with poo all over her hands. Bub in the meantime had rolled around on the carpet and there was poo everywhere. Oh god. Note to self not to let the older one watch the younger one when I have 2 kids. I've had poo from one end of the house to the other. There was a delivery driver at the door, the phone ringing and me tussling with a cantankarous toddler, it was not a pretty sight. I called my hubby and told him to get home stat and bring the bleach with him! See if I called mine he'd just laugh at me down the phone and say something stupid like "well you wanted to be a mummy". LOL yuk! Thankfully we haven't had that problem. Gotta love the straight to the bath moments! We have the same fascination with the nappy cream and wipes here too. She used to wait for a new nappy and then do a no.2 five minutes later! My toddler was being independent and caving I let her have 'nappy off' provided she tell mama AS SOON as she needed to go. Not 5 minutes later I hear 'mama, help, wee!' And sure enough she's weed on the rug in a trail toward the potty. After assuring me she's done I start cleaning up (not easy bending down at 8 months pregnant) and walk into the bathroom to wash my hands... Only to find she's done a number 2 on the floor in there, picked up part of it and smeared it all over the vanity and my hairbrush handle. I cried. I also threw out the hairbrush. And have not been as trusting with nappy free time since! We don't do nappy free time because I'm pretty sure this would be the result! I would've thrown the brush out too. This competition is now CLOSED. The winner will be announced on this blog post once they have been chosen. I love them, soooo much easier than trying to wrangle with her to get the tabs done up!